Increasing the water safety skills of our citizens is a primary motivating factor behind Republic Bank’s involvement with the National Learn-to-Swim week. 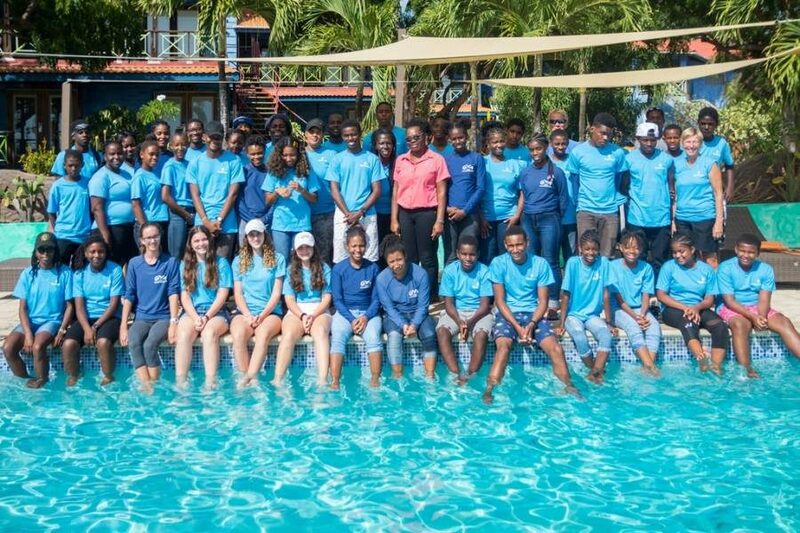 Five years ago, Grenada Youth Adventurers led by Deb Eastwood, engaged Republic Bank to support the development of a national ‘Learn-to-Swim Week’ which has now expanded to 15 locations across Grenada, Carriacou and Petit Martinique; benefitting an average of 600 persons annually. The goal is to teach a total of 8,000 persons to swim, over 5 years; the success rate so far, is approximately 2,800. “The unfortunate reality is that far too many of our citizens do not know how to swim”, says GYA founder, Deb Eastwood. This realisation has led the GYA to develop a programme to incrementally increase the number of persons across Grenada, who can swim. Republic Bank’s Power to Make a Difference programme has historically supported initiatives that positively impact the lives of our citizens. Through the National Learn-to-Swim Week, the bank has invested $10,000 annually, to give as many persons as possible, the opportunity to learn to swim. Speaking at the launch, Elizabeth Richards, Daniel, Manager of Finance at Republic Bank encouraged citizens to take advantage of the opportunity to acquire this very important life skill. Adults and Children aged 6 & over can participate in the programme by registering through the website www.getgrenadaswimming.com or contact Deb Eastwood at 404-5237. Being able to swim saves lives! Republic Bank is proud to be a partner in great initiative.